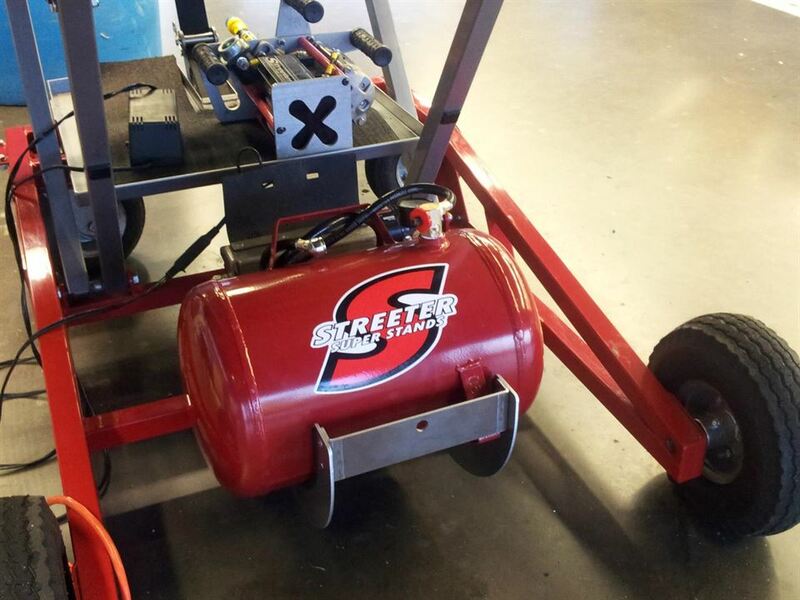 A great solution and very handy idea for storing your air tank right on your Streeter Super Stands Super Lift. Aluminum Air Tank Holder bolts directly to your Super Lift and holds most standard (up to) 5 gallon air tanks. Make sure your tank fits between the stands arms for proper up and down clearance! This Air Tank Holder works perfect with the STR-2800-510 Air Tank- (sold separately).